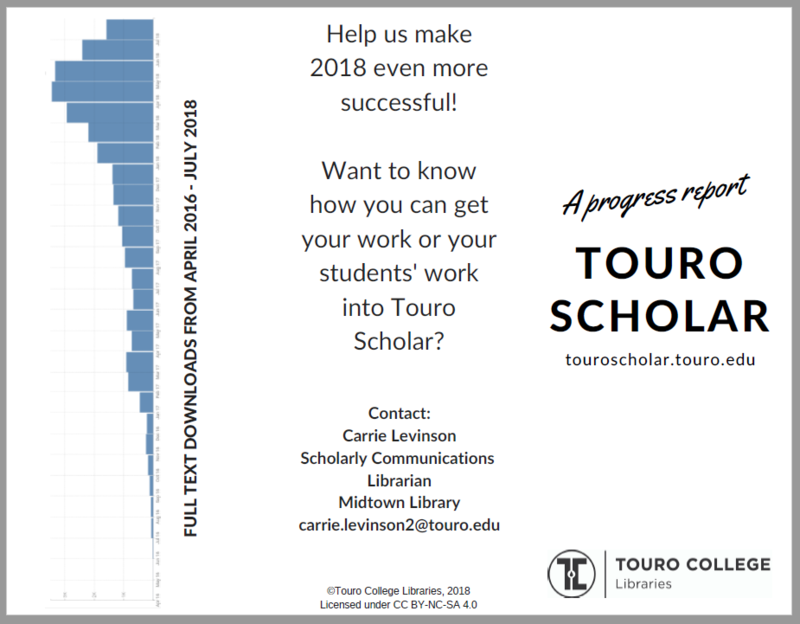 Carrie Levinson, Scholarly Communications Librarian and primary administrator of Touro Scholar, pulled together a brochure highlighting the first year of Touro’s IR progress and successes. 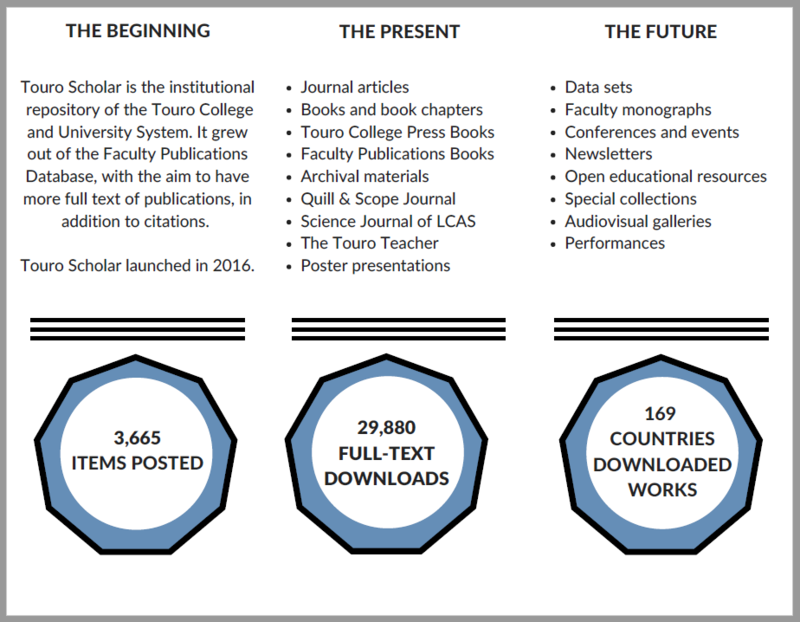 Launched in April of 2016, Touro Scholar currently has over 29,000 downloads across 169 countries and over 3,300 articles. One of the main reasons the Touro College & University System pursued an IR was to support not just citation-only records but also full-text download data. Levinson developed the idea for an “easily digested, bite-sized” progress report to be able to hand out at the annual Faculty and Author Appreciation Luncheon that drew attention to the newly launched IR and how faculty could be utilizing the repository for their works. Authors are now able to see the global impact of their work, demonstrating the value of sharing full texts online. Levinson’s brochure calls on faculty to help make 2018 successful, and we see that it already is!